BVNW students have played for the Blue Valley Rugby Club for the past ten years. BVHS junior Tyler Kelso starting the play during rugby game against the Olathe Gents, Saturday March 2. Despite rugby not being a school sponsored sport, some BVNW students have opted to compete on the Blue Valley rugby team since 2008. The club is made up of students from all five Blue Valley high schools. 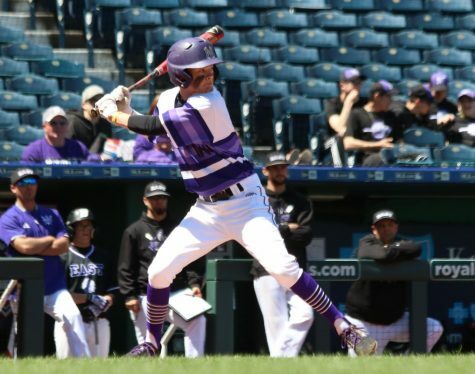 Since the club isn’t affiliated with any of the Blue Valley schools, head coach Matt O’Donnell said the club has to find their own field and hold fundraisers to pay for the program. Senior Gideon Lufkin has played on the team since his sophomore year. Lufkin said he wanted to play football at first but considered himself too short. Still wanting to play a contact sport, Lufkin looked on YouTube and found rugby, which he said led him to learn how play the sport. 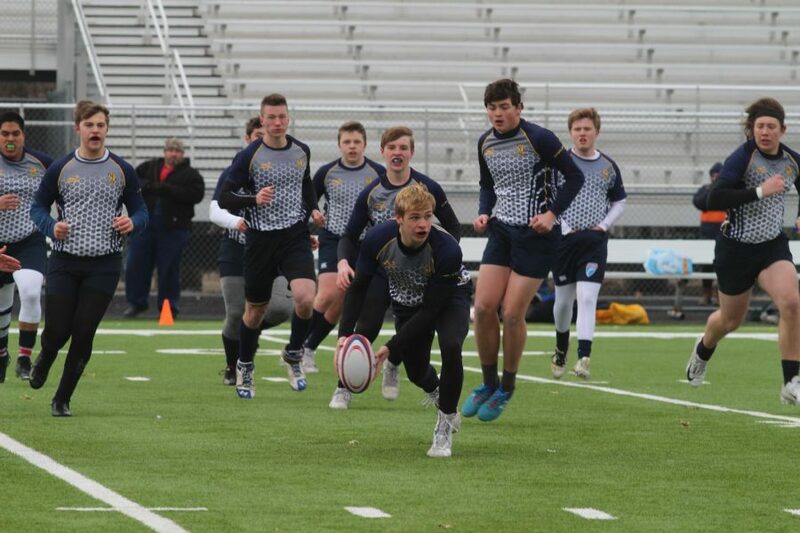 Likewise, junior Connor Harper, who recently transferred to BVNW, played rugby his freshman and sophomore seasons at St. Thomas Aquinas High School. Harper described the sport as a mix between soccer and football. “I like the physicality of the sport, how you have to communicate with your teammates all the time and the chemistry you get to build with your teammates,” Harper said. Tanner knew a lot of parents, O’Donnell said, with children at the high school age and got the team together. He said he tried to meet with the high school sports coaches but they weren’t that helpful. “They wanted their players to do everything but play rugby and so we kind of had to do it on our own, and that’s still the case now a days,” O’Donnell said. However, O’Donnell said they have a booster club and spirit wear, and are working with a couple of faculty sponsors in the middle schools to grow the youth rugby program. Throughout the season the team plays 13 to 14 games, O’Donnell said, with 11 scheduled games and a tournament at the end of March. The team then participates in regionals in Lawrence and if the they qualify, the season ends with nationals on May 12 in New York. Today, more and more football coaches use rugby style tackling for safety said O’Donnell. NFL coach Pete Carroll of the Seattle Seahawks has been teaching his professional football players how to tackle using a rugby style because it’s safer for the head, and more efficient for bringing down the ball carrier. O’Donnell said rugby is unlike any other sport and he always has every senior on his team at graduation time say they wish that they would have done this as a freshmen. “At least practice until you get to play in the game, [rugby] is something that I think a lot of people would enjoy,” O’Donnell said.